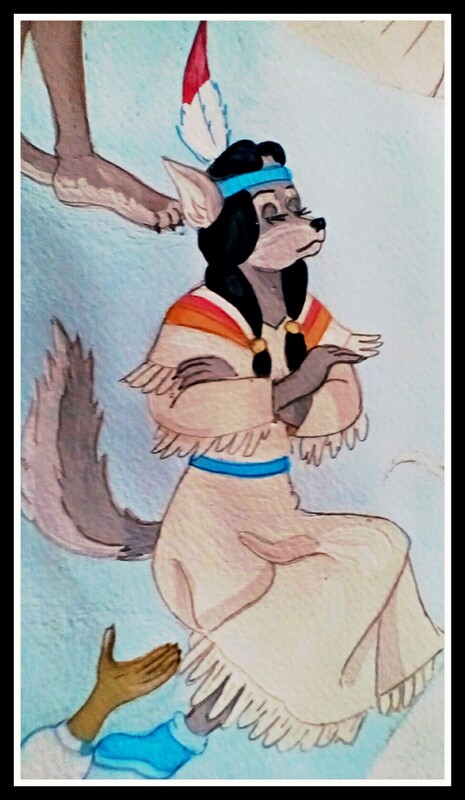 Tiger Lily from Peter Pan. Even though she had Tiger in her name, I imagined her as a young wolf. Lol-Tiger Lily did have a bit of an attitude! A wolf would make more sense than a tiger anyway, considering no tigers are native to the Americas.